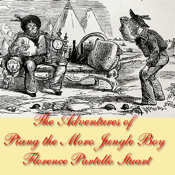 Thrilling adventures in the lower Philippine Islands with a Moro boy as hero. Riding a cataract, fighting a crocodile, capturing a huge python are just a few of the incidents. The tale is drawn from the personal observation of the author who lived on the Islands.